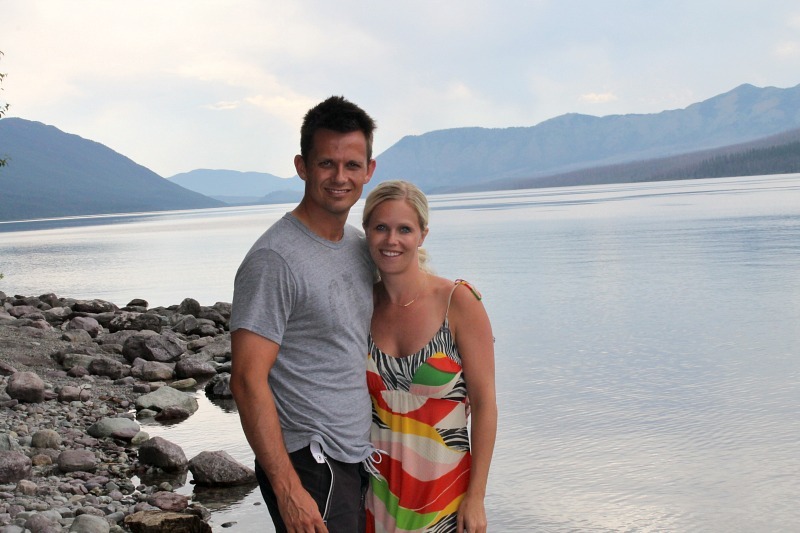 I am so truly lucky to have married my best friend, my travel partner, the father to my children, the one that shares so many great memories with me. 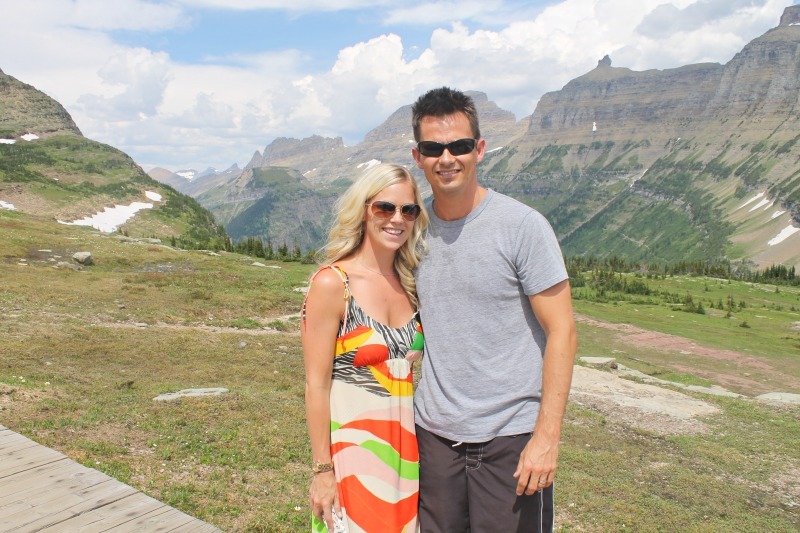 We have been a part for most of August but were lucky to take a trip to Glacier National Park, just the two of us at the beginning of the month before he left me and the kids to finish out our USA summer. I love that he loves traveling as much as I do. I love that he loves exploring as much as I do. We are still working on loving photography as much as I do but showing progress. Traveling is probably my favorite thing to do with Mr P. It’s when we are both the most relaxed and at ease even if we do have the two tots in tow! For that time we are together, it’s about quality time spent, not “having” to do anything we don’t want to. No time specifications. We just be and enjoy every moment of it. * from the top of the mountain together to the bottom of the falls * We laughed, we stood silently staring out into pure beauty, we held hands, we hugged, we kissed, and we made memories that will last a lifetime. 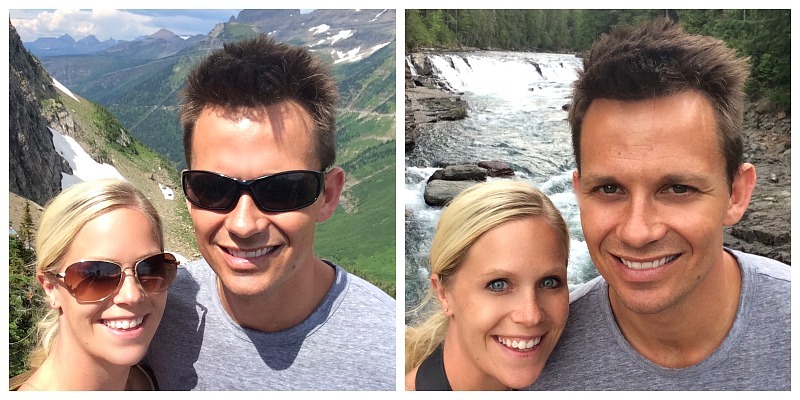 Our trip to Glacier Park really was that for me, as so many other trips we have taken together have been. I love pouring over our vacation albums from over the years and basking in all the amazing memories we made. I love our years we have had and I am so excited for all the years we have ahead of us. We have a wonderful life together even with our little bickers, or grumpy days like any normal married couple. It’s our version of perfect! It really is so beautiful especially from the top. Scary driving but worth it. It was great to have the grandkids have special grandma time while we got to spend quality time together too. Thanks Yvette, it was a trip of a lifetime until next summer when we do it all again. Always great to spend our summers in the states with my family and winters/christmas in ireland with my husband’s family. I hope it will teach our children many different cultural traits. Thank you. We all should do the same and be so grateful. Sounds like a really lovely trip and its always so nice to go with someone that loves travelling too. Glacier Park looks really stunning in those photos. Thanks hun I will blog specifically about Glacier National Park later but these were just a few of us together. There are rivers and waterfalls and a huge lake and views that are absolutely breathing taking to share. Thanks Sian. I think so too. 😉 I can’t wait until the kids are a bit older and can be more adventurous with us. It was a BRILLIANT trip thank you hun. I am missing it all already and can’t wait until we go back in June. Stunning place to visit. Ahh thanks hunny so sweet of you. And I am so glad you both get each other and are there for each other especially given what you have been through that’s so important. Your relationship sounds truly strong! Thanks for stopping by and commenting. That’s beautiful! It sounds like you are very lucky to have such a special relationship – and those photos are stunning! Thank you Sarah so sweet of you to say. It’s stunning place so it’s not hard to grab a great photo. lol So lucky to have grown up in such a place or near it at least. What a stunning place, and it’s great that you got to enjoy some time there together. You are right about spending quality time together but not actually having to do anything, that is the best! Thank you. I was lucky to grow up in such a beautiful part of the world indeed. Yes so true. I don’t think we always have to be doing something to make memories sometimes just being together is good enough! Yes I really was. It’s such a long time but every summer is worth it. It only makes us value family more and work at our relationship harder and more! Thanks hun. Thanks hunny. Yes I completely agree. It was great but living out of a suitcase I am glad for my bed, house and things to get back to a good routine! Happy to hear that you managed to spend some time alone with your husband while in the US. Fabulous photos as always. Yes it’s always great to have one on one hubby time and the kids with their grandparents too! Everyone wins! How nice to get away together! That’s so important to do. I’m sure your parents enjoyed keeping having the grandchildren all to themselves, too! Yes they certainly did. The kids too! I think it’s important to have couple time, kid time and alone time all balanced. Thank you so much. Yes we truly made some fantastic memories indeed. Time apart makes the heart grow founder right? hahaha It’s hard being away for so long but always great to reunite. Ooh I love glacial lakes. Looks amazing, and so great that you both enjoy the same things. Thanks Caroline. I like to think so too. 😉 I am so very lucky! Thanks Marcia, your lovely comment just made my day. Traveling gets harder and harder with prices skyrocketing but glad you get to enjoy it too with your best friend. Nothing better. Thank you Jo. So sweet of you to say. We had a great time adventuring the great outdoors together. I can’t wait to take the kids when they are older! It’s wonderful that you two share the same interests, especially travelling. Nothing better than seeing the world together. Beautiful photos! Thanks Tarana. So true. I feel bad as my mother loves to travel like me and my Dad plain refuses to go anywhere ever. So she gets a bit down that they can’t share that part of their passions together. So I am so very grateful I can with Mr P.
Thank you. You couldn’t be more right. I always think you have to have balance and alone time in all relationships. Thanks for the high fives we had a brilliant summer in the usa. Thank you so much. Thanks Jess. You are so kind. It really is. I am ever so grateful for him and the gorgeous place I grew up! What a lovely couple – a great match! My Hubs is also my bessie mate! We really did have such a great time and made some great memories too. Brilliant summer all around. I can’t wait until next year.